The cartridge of any printer, as a rule, the device is disposable and refilling is not subject. However, their hard run again and again until the cartridge finally goes down. As you know, the printers there are laser and inkjet. There is also a matrix, but due to the lack of their device cartridge as such to consider them makes no sense. 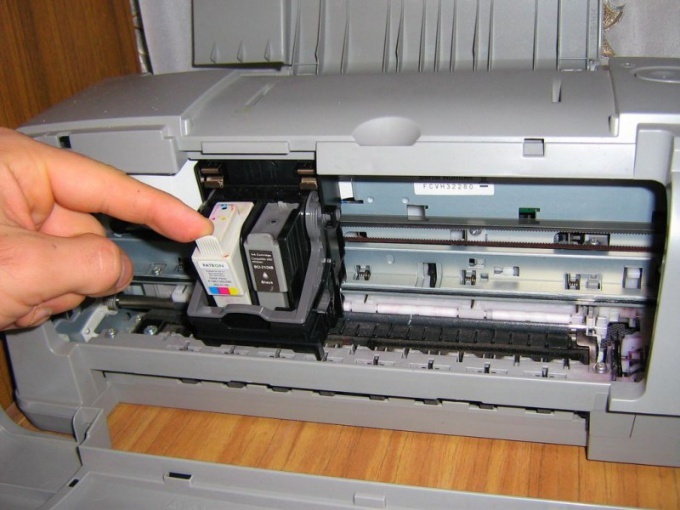 Laser printers use as a working body of the special toner. As his exhaustion printer produces less and less saturated image and finally the image becomes illegible. In this case, the need to replace the cartridge. But there are special services which carry out not just a replacement, but the replacement toner. How many will live after this procedure, the cartridge only he knows, especially in the latter samples laser printer refill the actual cartridge is simply impossible, because it is a sealed design. As for inkjet printers, refill cartridges, there is simply not provided, except CISS, where the ink cartridge is served out of the ordinary containers, where they fill in as you use it. However, the lack of options such as filling and maintainability of inkjet cartridge, does not stop people. Take an ordinary syringe, the ink of the desired color and through the hole in the stub cartridge is pumped to the eyeballs. He lives after this procedure differently. Most importantly, the ink to match the type of device and refillable ink cartridge are not lying more than a day dry. According to various sources, thus it is possible to reanimate a cartridge up to five times without any noticeable loss of print quality. This does not apply to so-called photo printers, and high demands on the ink. It is usually assumed that the cartridge to laser printer stand from five to fifteen refills, but keep in mind that occasionally have to change some of the resource details, for example, Raquel. But there is another limitation. Filling in conjunction with the replacement of parts is called recovery. The frequency of recovery depends primarily on the capacity of the cartridge: if the cartridge is high-capacity, recovery should be performed at each refueling, with the usual capacity is one every 3-5 refills. Cartridges for ink jet printers, there are also certain limitations. They stand from five to six refills. But the Epson cartridges to fill undesirable. They set the counter of the ink, which must be reset at each refueling. Reset causes the printer stops to consider the state of the cartridge. On the other hand, for Epson printers CISS are developed and delivered, where the presence of ink is determined visually.